Good buy for a good product. My MD recommended Magnesium. I have had great results using Magnesium (glycinate/malate) by Vital Nutrients. Have been taking Magnesium for years. No problems Magnesium is a very important mineral to take. 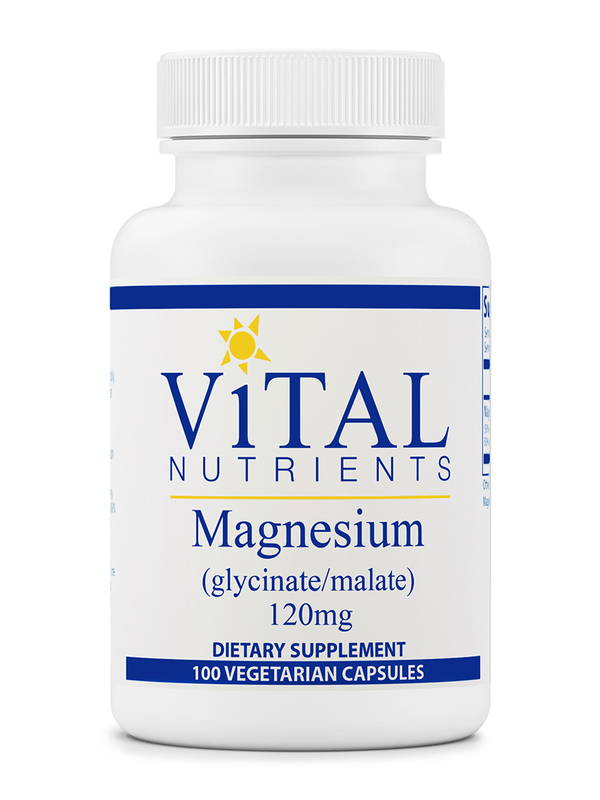 Vital Nutrients’ Magnesium (glycinate) 120 mg capsules offer a gentle form of the vital mineral that is suitable for those with sensitivity to either magnesium citrate or oxide. Furthermore‚ the glycinate form of magnesium is also preferable due to its being less likely to cause a laxative effect than other types. Magnesium—which is provided by this supplement—is so important because it can help you get a better night’s sleep‚ reduce muscle cramps‚ and improve your general sense of well-being. Magnesium is an integral part of over 300 vital processes in the human body; these processes include providing support for the healthy functioning of the immune system and strong nerve functioning‚ maintaining strong bones‚ and promoting cardiovascular health. On the other hand‚ a magnesium deficiency may contribute to fatigue. According to some experts‚ magnesium glycinate has shown some ability to help balance mood swings‚ because the mineral is necessary for the regulation of neurotransmitter receptor sites. Early mental symptoms of such a deficiency may include apathy‚ anxiety‚ confusion‚ reduced ability to learn‚ poor memory‚ irritability‚ or trouble sleeping or eating. Physical symptoms may include numbness‚ body tingling‚ sustained muscle contractions or spasms‚ and an irregular or rapid heartbeat. Magnesium in its glycinate form may be helpful in addressing these symptoms‚ since it helps stabilize the nervous system while the amino acid glycine produces a soothing effect. 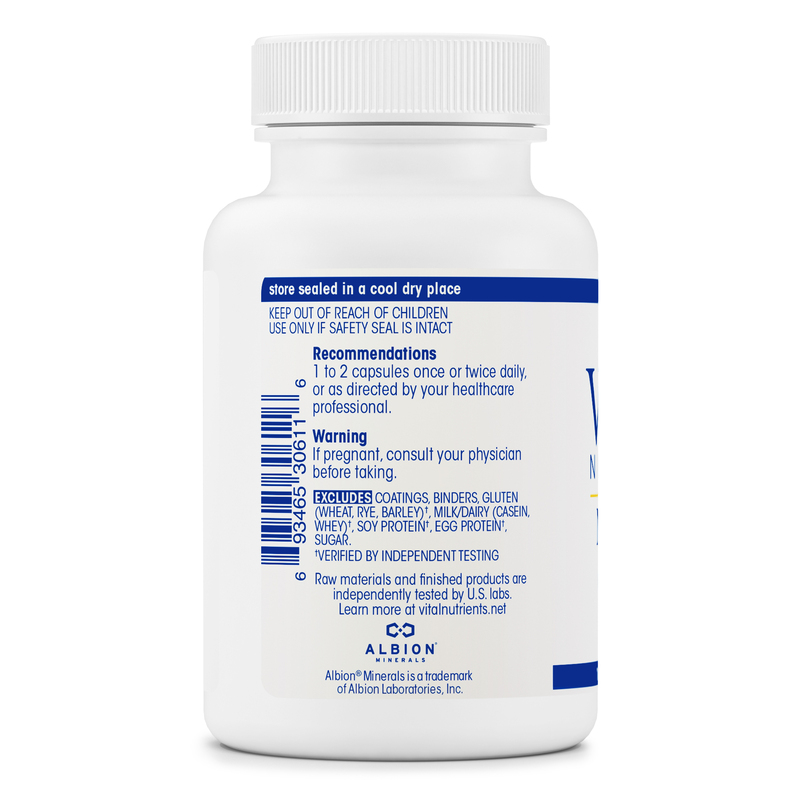 The glycine component of Magnesium (glycinate) 120 mg Capsules by Vital Nutrients also works to remove mercury from the body‚ in a process known as chelation. 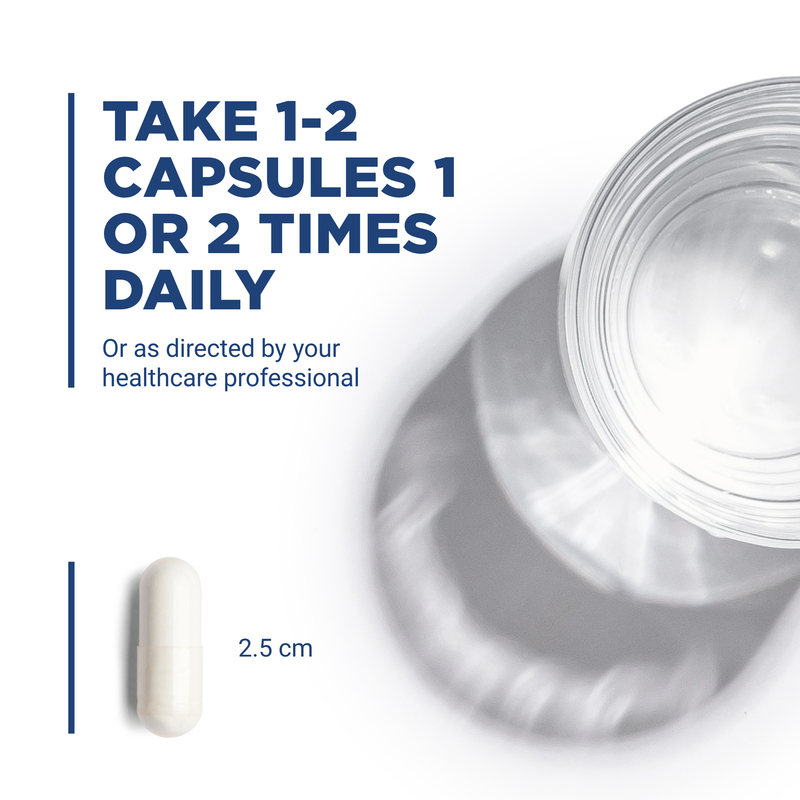 Each 100 capsule bottle of Magnesium (glycinate/malate) 120 mg by Vital Nutrients has a recommended dosage of 1-2 capsules once or twice daily‚ or as directed by a healthcare professional. Other Ingredients: Gelatin capsule‚ magnesium silicate‚ and ascorbyl palmitate. Little to no leg cramps! I suffer from 6 autoimmune diseases and Non Hodgkin lymphoma. I had been suffering with leg cramps until using Magnesium (Glycinate/Malate) 120 mg by Vital Nutrients). Also my husband is a mail carrier and he takes this supplements too and he rarely wakes with cramping at night. I take Magnesium (Glycinate/Malate) by Vital Nutrients everyday before bed and I've never felt better! Highly recommended! My naturopath prescribedMagnesium (Glycinate/Malate) by Vital Nutrients for night time leg cramps. It works! Magnesium (Glycinate/Malate) by Vital Nutrients helps me sleep and I don't get diarrhea from it. Great for getting to sleep! Always struggled with getting to sleep. Magnesium by Vital Nutrients helps to relax and calm me so that I can easily fall asleep. Relaxing and calming effect it has, no drowsy or drugged feeling. This Magnesium (Glycinate/Malate) by Vital Nutrients product was recommended by my doctor for my dysmenorrhea every cycle. It makes my periods more bearable. I developed painful neuropathy in hands and feet from chronic lyme disease. I also have sleeping issues due to lyme so my naturopathic doctor recommended Magnesium (Glycinate/Malate) by Vital Nutrients. It not only helps with my neuro pain but helps me sleeps so much better! Double win! I love this brand! Excellent product. 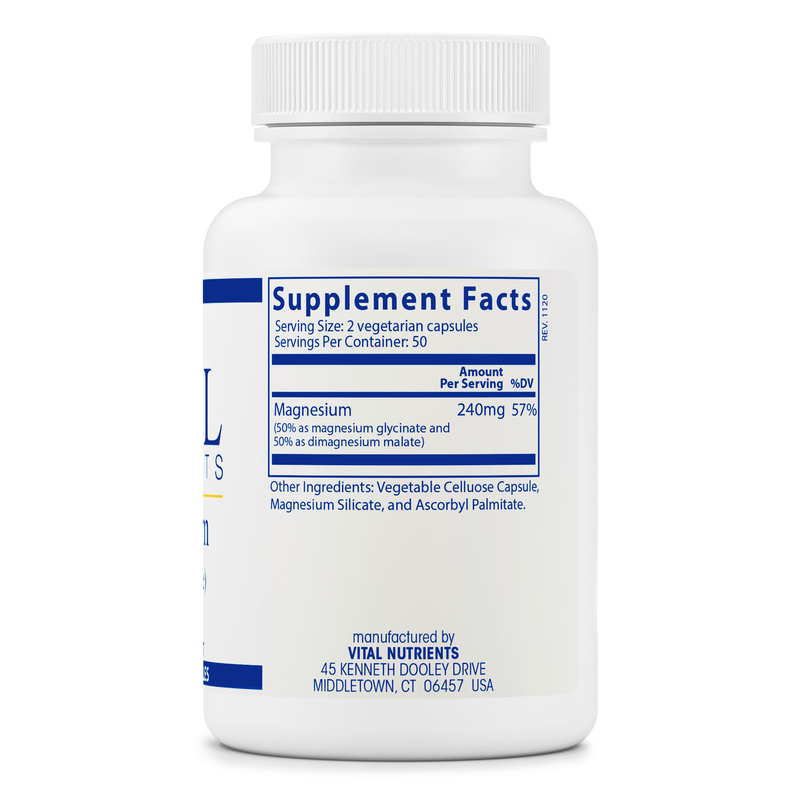 Magnesium (Glycinate/Malate) by Vital Nutrients helps reduce inflammation in my muscles and can also help keep me re gular if I take a high enough dose. I like the efficacy of this product. It helps reduce inflammation in my muscles and can help keep me regular if I take a high enough dose. My doctor told me to take magnesium to help prevent breakthrough migraines and leg cramps. I have tried quite a few brands and Magnesium (Glycinate/Malate) 120 mg by Vital Nutrients is one that does not have an after taste, it does not upset my stomach and it does work for me. When I take three capsules daily migraines and restless leg syndrome is at bay and I am happy. This is a high quality product at a great price! I've been taking it daily for four months now.